No One Ever Came To Jesus Because a Christian Scolded Them. Scott Sauls is senior pastor of Christ Presbyterian Church in Nashville, Tennessee and author of Jesus Outside the Linesand Befriend.Connect with Scott on Twitter at @scottsauls. This is what happens in a group of people who have sound theology but are lacking in love. A Colosseum culture develops. Everyone rallies around a common enemy—the sinner. Robbers, evildoers, tax collectors, adulterers and adulteresses. And then the pouncing and the piling on. The shaming. But not Jesus. Jesus, left alone with the woman, simply says to her two things: “I do not condemn you. Now leave your life of sin.” The order of these two sentences is everything. Reverse the order of these two sentences and you’ll lose Christianity. Reverse the order and you’ll lose Jesus. We all have known hurt. The hurt of being on the other end of someone’s sharp tongue. The hurt of being rejected. The hurt of being misunderstood. As surely as you need oxygen to breath so people bring pain. Sometimes deliberately. Sometimes unintentionally. I first met Lucy in 2010 while living in China. From the moment I met her my life was not the same. Lucy stole my heart. After meeting 8 year old Lucy and her mum and seeing their poverty and at that time extremely shocking life circumstances I could not simply return to my life and not try and do something for them and others like them. (Some of you have heard Lucy’s story.) That was the start of my affiliation with Elim Kids and for the past 6 years I have travelled back to China to help out in whatever small way I could and every year I have connected with Lucy. Brought her gifts. I have given her my love. My hugs. My time. My heart. I believed that I had built a relationship with Lucy throughout that time. This year when Lucy came to stay with us while we were in China something happened that caused me to question that relationship. Our time together started out as it always did with us both enjoying seeing one another again and sharing in hugs and laughs and fun and teasing one another. (Though she tended to love teasing Chris the most.) But suddenly, and it was suddenly, she became very distant from us. She stopped listening to us. She would turn her back on us when we approached her. She would ignore us when we asked her to do something or called to the table to eat. At first we put it down to her being 14 and teenage stuff, but the behaviour escalated and she began to talk to the other kids about us in a not very nice way and would try to convince them to ignore us and be disobedient. She worked at deliberately turning them against us. Lucy’s attitude toward us began to really impact the household. I was hurt. I was angry. I was confused. I wanted to retaliate. I felt her attitude was unjust and unfair. I felt rejected as this girl who once threw herself into my arms now recoiled when I reached out for her. Jesus, He is the Son of the Most High God, king of the world, sovereign of the seas —– washed feet. I’m not a fan of feet. I tend to recoil when touched by another’s foot. Feet have toenails. They have bunions and fungus, corn and calluses, and planter’s warts. Feet smell bad and if we were to be truly honest, they’re not really all that attractive. Jesus touched the stinky, ugly parts of His disciples, knowing He came from God. Knowing He was going to God. Knowing that all authority was His, he exchanged His robe for the servant’s wrap lowered Himself to knee level, and began to rub away the grime, the grit, and the grunge from His disciples feet. Jesus did not exclude a single follower. He included Philip, who in effect had retorted when Jesus told the disciples to feed the throng of five thousand hungry people, “It’s impossible.” So what does Jesus do with someone who questions his commands? Apparently He washes the doubter’s feet. James and John lobbied for prime positions in Christ’s Kingdom. What does Jesus do when people use His Kingdom for personal advancement? He slides a basin in their direction. Peter quit trusting Christ in the storm. He tried to talk Jesus out of going to the cross. Within hours Peter would curse the very name of Jesus and hightail his way into hiding along with the rest of his followers. Do you ever wonder what Jesus does with promise breakers? He washes their feet. And Judas. The lying, greedy follower who sold Jesus out for a measly 30 pieces of silver. Wouldn’t you think Jesus would miss his feet? If He washes the feet of his Judas, you will have to wash the feet of yours. 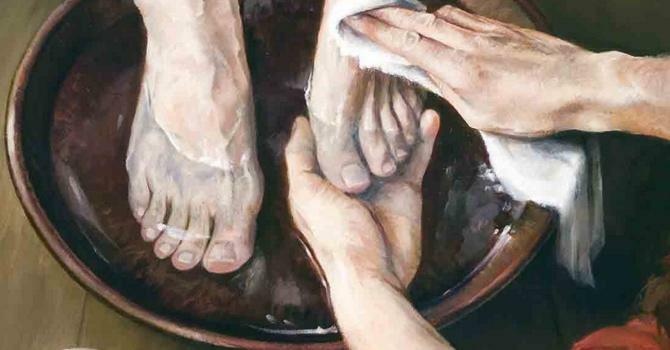 “Since I, the Lord and Teacher, have washed your feet, you ought to wash each other’s feet. I have given you an example to follow. Do as I have done to you” (John 13:14-15). Jesus washes first; we wash next. He demonstrates; we follow. He uses the towel then extends it to us, saying, “Now you do it. Walk across the floor of your upper room, and wash the feet of your Judas. It is because it happens, God extends that grace to me now, today, that I am able to move past my hurt and walk across the room as Lucy turns her back on me and wrap my arms around her and hug her unresponsive body and tell her that I love her. We all have our Judas story, probably more than one. As the elements are being handed out I invite you to picture yourself removing your socks and shoes. Then allowing Jesus, God, wipe away every dirty part of your life – your dishonesty, angry outbursts, hypocrisy, envy, selfishness. Let him touch them all. Then go into your week following his example. 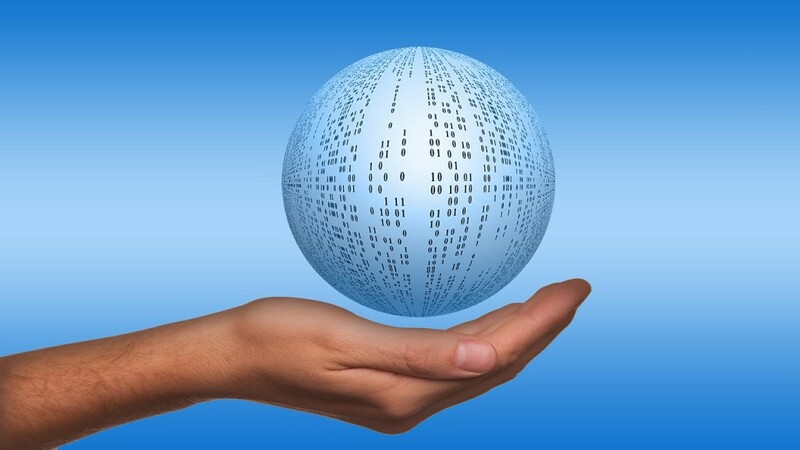 Theme – In a world of 3 billion voices it can be difficult to believe that my voice matters. This weeks theme will discover some of the ways that we can recover our voice. We can then live confidently knowing that we speak with God’s authority. To do this firstly we need to be very sure of our Father’s voice and then allow that to speak to the important things in our lives. What is the unique message God has called us to give to the world? Then the door flung open, the one I was trying to ignore. But I’ve turned into a cynic, and my hope is long dead. Through the countryside he dragged me, it wasn’t a joke. Perhaps a small gathering, not much more than three. The only word I could utter, was “strewth”, out loud. No clothes of rank or privilege, no pompousness in stride. He looked like a common labourer, well, a person much like me. Academics using six syllable words to point out another’s flaws. A form of great entertainment worth seeing, you surely must. Those who tried to shout him down, his answers ran them through. Eventually they stopped trying, but their looks warn him, to beware. Not only the fights with leaders, that set the man apart. Sometimes he spoke in riddles, but you could not deny his heart. But to me, the man was a mystery, who I just didn’t understand. People were healed, i mean really healed, that everyone did know. But the way he touched, the sick and sad. it’s only tenderness, that he oozed. He seemed to delight in variety, left the audience in a daze. Once he placed, mud pies in eyes, which frankly, I thought gross. The teachers friend, had been dead four days, we heard the mourners cries. I honestly can’t deny the truth, cause I’d really seen too much. To deny his deity, would be, to act if I were blind. It’s the way that he loves others, with kindness, it’s his nature I adore. When we saw, the hard way he died, we weren’t coping with the loss. We were bubbling over, Jesus had risen, he removed that terrible pain. The sacrifice that he’s given, the commitment to get the job done. We’ll break the bread, we’ll share the wine, and thank Christ Jesus, for what we received.